SKYourself® is a unique energetic healing method that clears emotional blockages. 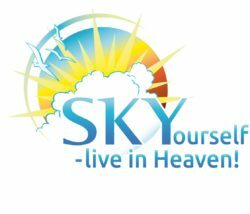 During the seminar, you will also be given detailed instructions on how you can use SKY for yourself, with babies and animals, as well as in public situations. You will learn how to carry out a deep resolution process with your family, friends, and clients and will experience and actively perform this process in the course of the seminar. After the completion of the training, you will receive your certificate as a SKYourself® Coach.